The improved bore favors flexible register-crossing and freer blowing during the most demanding pieces. 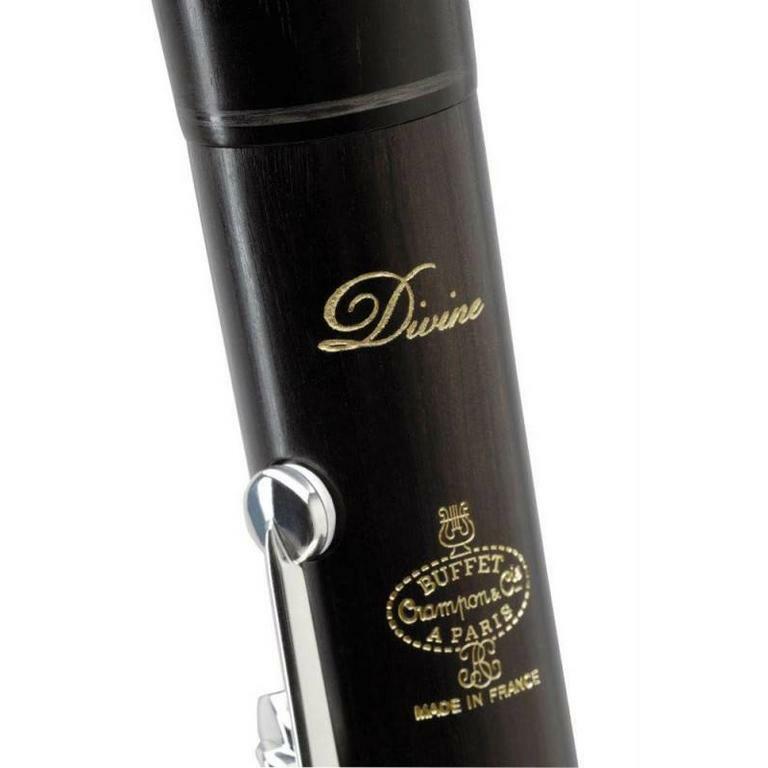 The Divine clarinet comes with two barrels – 65mm (442hz) and 66mm (440hz) – which fit with both the Bb and the A model. The Divine is made of grenadilla wood with specific upper joint Green Line tone-hole slots eliminating air leaks on tone-holes most prone to crack. 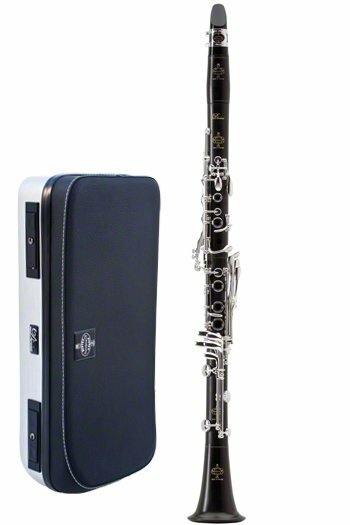 The carbon wire (a Buffet Crampon patent), which replaces the metal rings, makes the clarinet 60 grams lighter and thus contributes to its exceptional balance with greater vibration and freer blowing. As with the Tosca model, the Divine clarinets are equipped with a low F correction key. 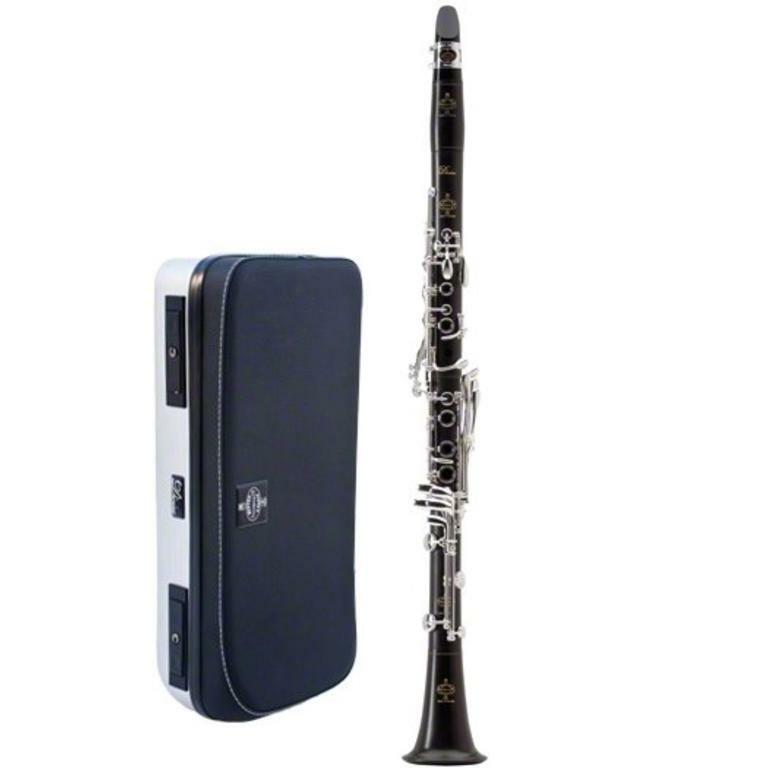 New keywork and spatulas enhance the clarinet’s ergonomics without destabilizing the musician’s capabilities. 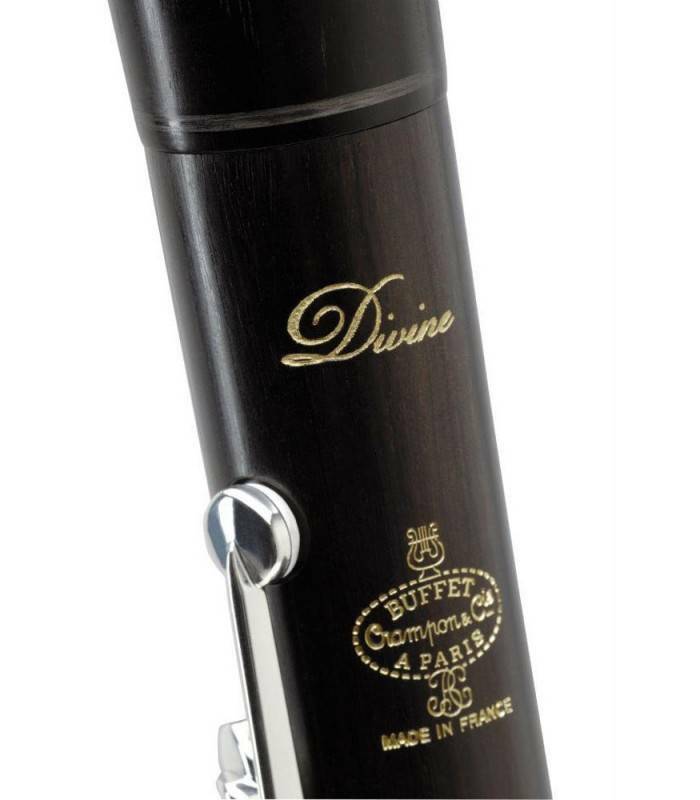 Whereas the Tosca clarinet was the R13 bore’s top range model, the Divine features the Buffet Crampon RC bore’s latest evolution.